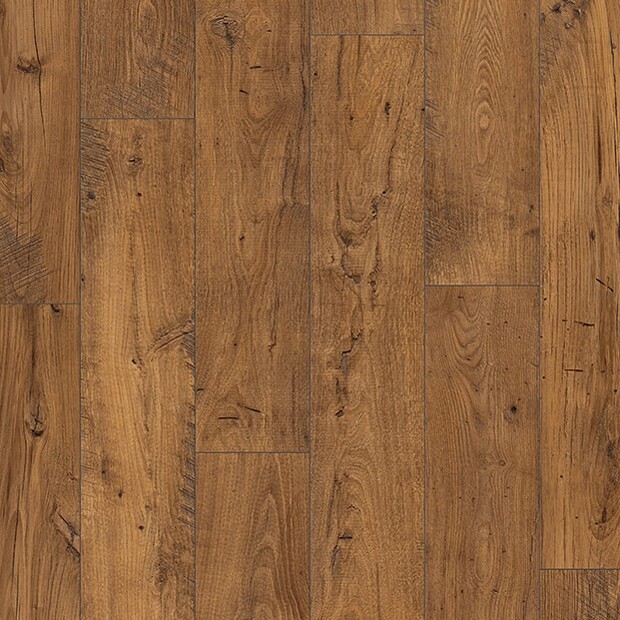 Captivating organic lines, striking markings and rustic features make this Reclaimed Chestnut Antique Plank UFW1543 from Quick-Step a joy to behold. 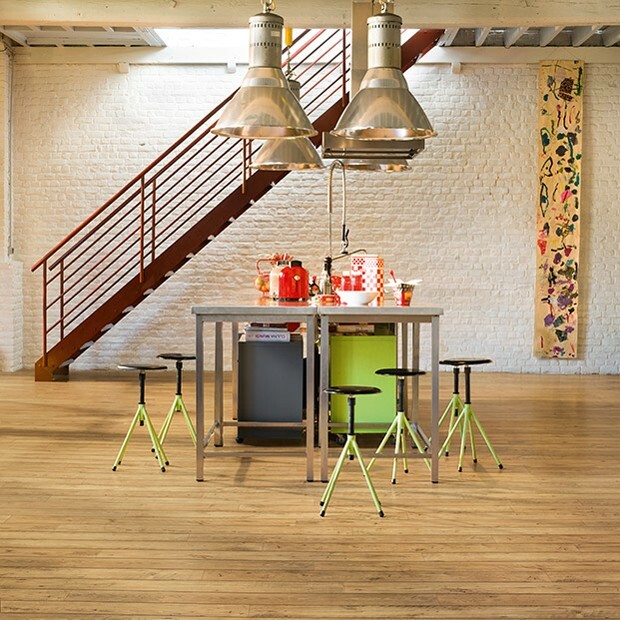 Designed with a highly realistic wood-effect texture, the floor looks stunning from afar and mesmerising up close. The knots, wood splits and cuts lend more character and natural beauty to the floor, whilst the 4-sided bevels enhance the authentic solid wood appearance further. A beautiful addition to the Perspective Wide 4v range, the planks feature the collection’s signature bevels and 190mm width. 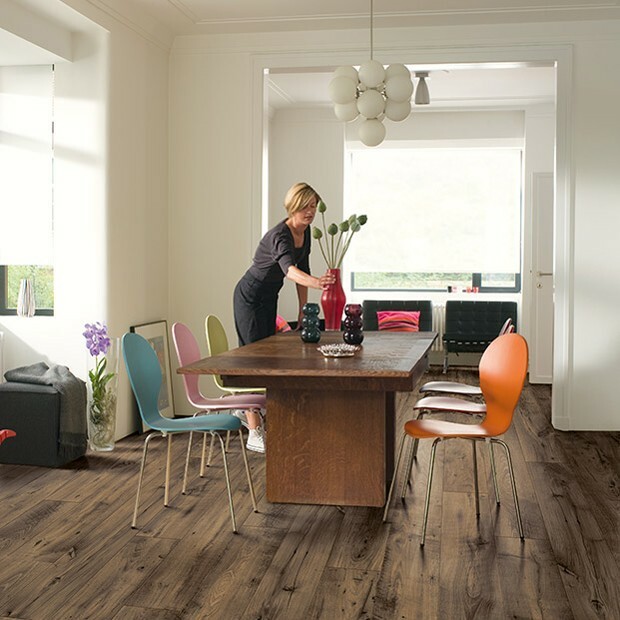 The 25-year warranty brings more peace of mind and adds fantastic value to this laminate floor that will stand the test of time.